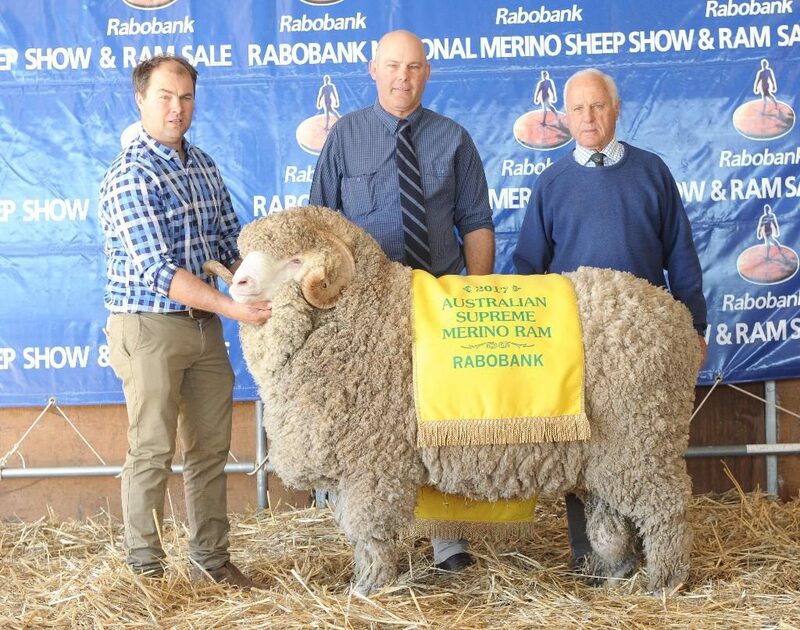 Jock, Hamish, and John with N73, Australian Ram of the Year 2017. A very exciting young sire prospect for the coming years. N73 is probably the biggest and most well balanced ram Nerstane has bred. 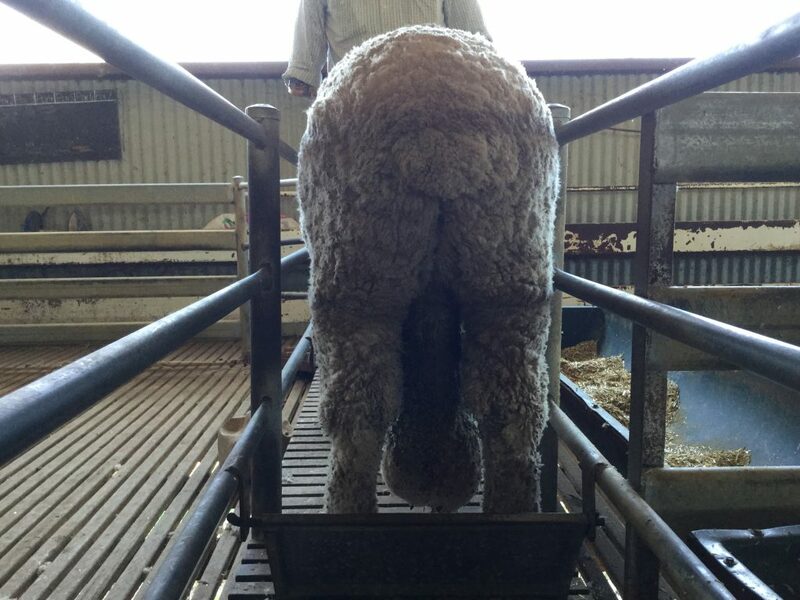 He weighed 149 kg as an August shorn at Dubbo. His structure is outstanding, standing right up on all four feet, and having great bone. 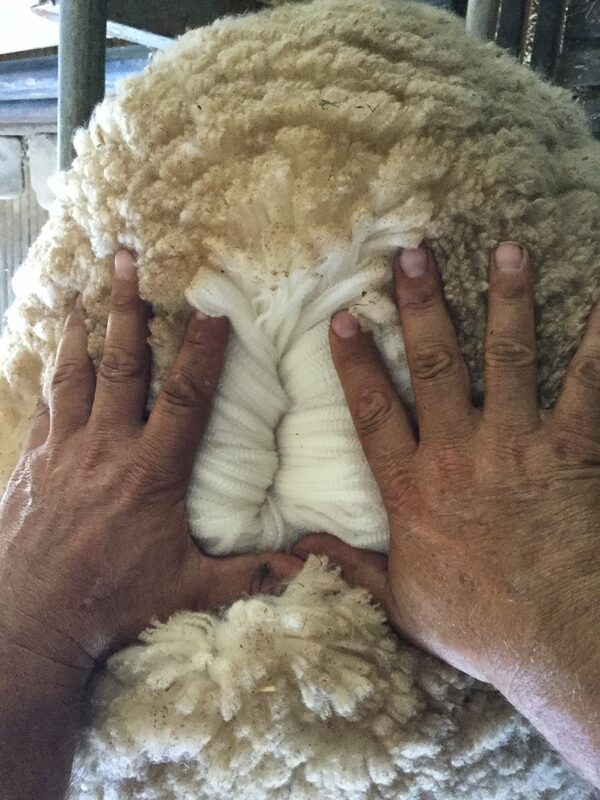 N73 has that presence, with a massive pure head and no blemishes, great staple length with enough thickness, and showing off a bright 66 count wool that will suit most fine to fine medium wool breeders in all states. 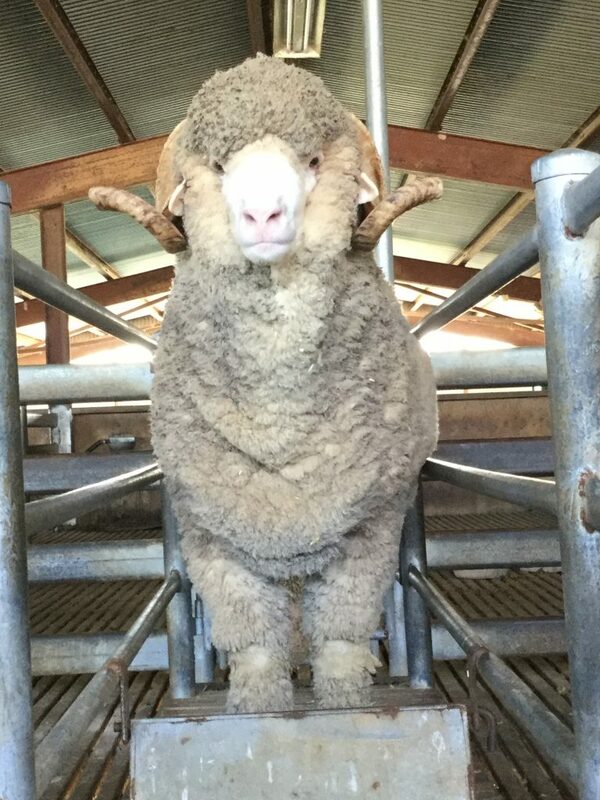 This ram was a standout from a lamb. 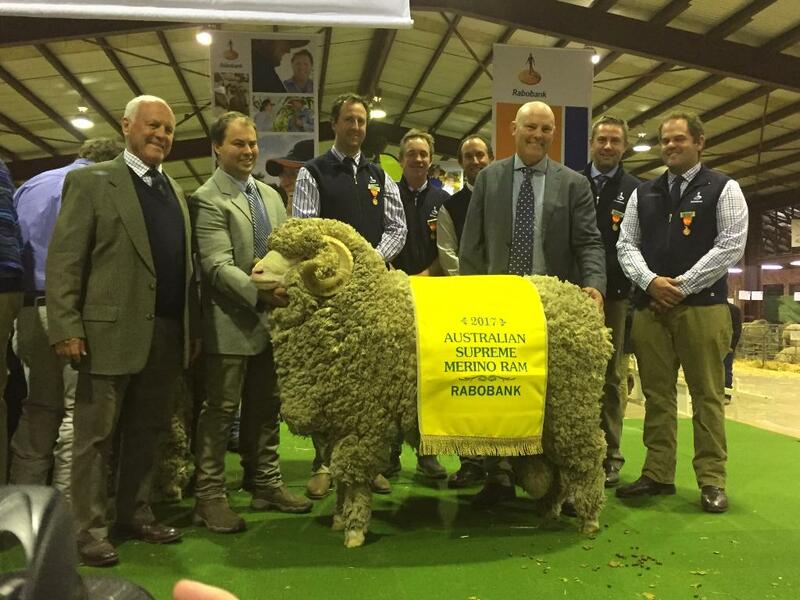 Nerstane sold N73 to long term Uruguayan clients La Magdalena Stud for $40,000 at Dubbo in August.